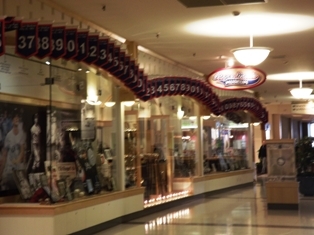 Capital : Bismarck Origin of state's name: Dakota is the Sioux Indian word for "friend"
Was training in Fargo, and the Roger Maris Museum is in West Acres mall, there - so had to pay a visit. 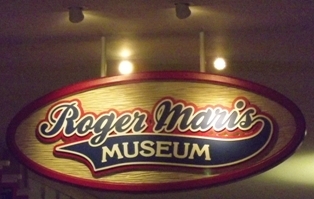 You walk in the Maris Entrance, and on the left is the museum area. 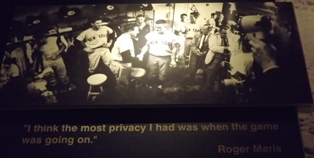 Basically a wall of memorabilia, and a video room. 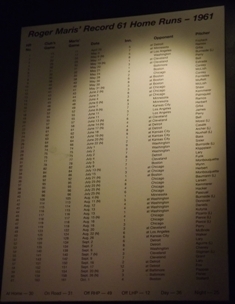 A very nice memorial. 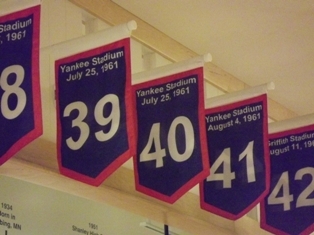 The flags on the ceilings are numbered for the home run hit, and then states the place and date of each home run. 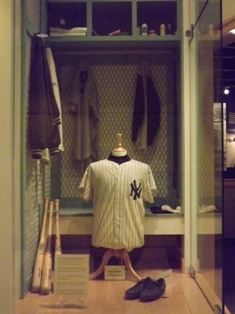 A replica of Maris' locker at Yankee Stadium. 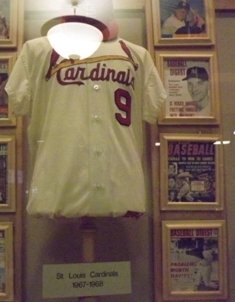 I forget that he ended his career with the Cardinals. 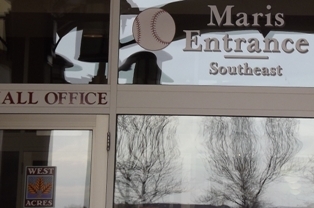 The video said he was going to retire, but when the Yankees traded him 'back home' to the midwest and the Cardinals, that he decided to play. His family loved it because they still lived in Kansas City, so they could see him during the year. 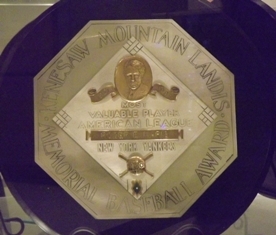 His 1960 MVP Award. 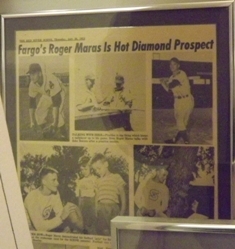 An article from 1953 - "Maras". Guess when you are a rookie, or not even a rookie, they don't always get your name correct. 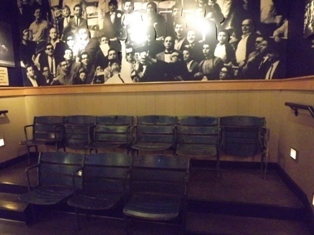 The video room - stadium seats and pictures of a baseball crowd on the wall. Video was nicely done. Over an hour, and very interesting. Including film and highlights from his career and after. 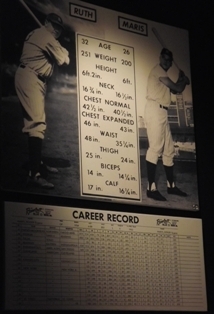 Comparison of physical and baseball stats between Ruth and Maris. 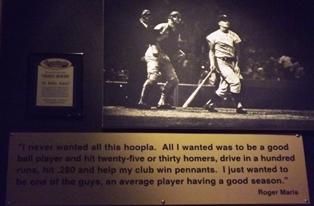 "I never wanted all this hoopla. All I wanted was to...help my club win pennants. I just wanted to be one of the guys...."